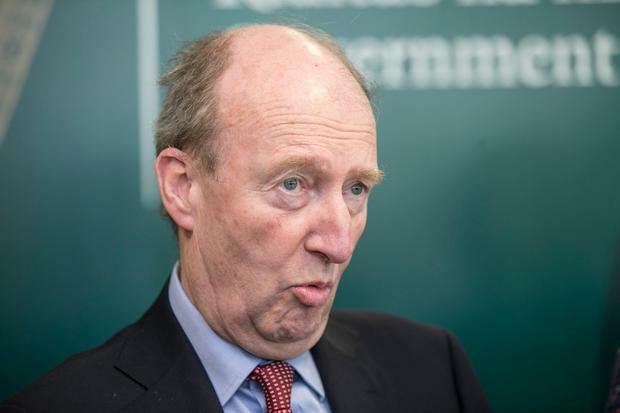 Transport Minister Shane Ross has sharply criticised Government partners Fine Gael and senior State officials for attacking his demand that grandparents receive a payment to mind grandchildren. In a stinging article in the Sunday Independent today, in which he also strongly defends the proposal, Mr Ross rounds on what he calls the “Establishment” and “conservative forces” whom he claims are determined to shoot down the mooted plan. The transport minister also lashed out at the “childcare industry” and claimed that the Independent Alliance had been “deliberately misrepresented”. He admits that some “fair”, but “often frivolous” questions have been raised about the proposed scheme to pay a grandparent €1,000 a year to mind their grandchildren. Referring to a recent suggestion from a senior civil servant that free travel for senior citizens should be curtailed, he claimed “the current gospel” was that the elderly “should be seen and not heard”. The vehemence of Mr Ross’s attack led senior Fine Gael sources to state yesterday that the Budget in October may not pass and believe that a general election was now back on the agenda. In his article, Mr Ross refers to the criticism he received last week: “The establishment went to work. Anonymous Fine Gael sources were widely quoted as rubbishing the suggestion and its proposers. “Official Ireland circled the wagons. Conservative Ireland took to the airwaves. Alarm in Government in relation to the Budget has been heightened by further severe criticism by Fianna Fail Social Protection spokesman Willie O’Dea, who has demanded across-the-board pension and welfare increases. In the Sunday Independent last week, Mr O’Dea wrote that at a time of strong economic growth, “the very least that the Government must do is to give an increase in payments to families in poverty, to carers, to people with disabilities and to pensioners that keeps pace with increasing cost of living”. Yesterday he also said he would be “very slow” to support a Budget that did not include a €5-a-week increase in the State pension. Also in the Sunday Independent today, economist Colm McCarthy says Exchequer returns for the seven months to July published last week suggest that “the 2018 budget is veering off course”. He says there appears to be a “limited capacity” in a pre-election atmosphere, to control spending and he suggests raising taxes. However, senior Government sources yesterday said that the twin attacks by Mr Ross and Mr O’Dea had put an “election budget back on the agenda”. Today, Minister for Transport Shane Ross writes: “According to the all-powerful mandarins’ agenda junior partners in government are not meant to be heretics. They are supposed to be slowly tamed by the system, worn down by two years in league with Fine Gael.